Nothing says adventure quite like traveling around the world with just a backpack on your shoulders and a passport ready to be filled with stamps. While some travelers opt to spend their nights in a hotel, those who want to experience the grit and culture of a new destination tend to opt for a hostel instead. You don’t have to travel too far to find a hostel when you find a new location to set up camp for the night, but have you ever wondered which hostels are considered the best in the world? If you ever find yourself looking for accommodation in Taipei, Taiwan, the Star Hostel Taipei Main Station should be at the top of your list. This hostel has won many awards over the course of its existence, thanks to its artsy interior and its ability to bring the outside in. Yes, there are plants everywhere, wooden floors follow you around the whole hostel, and there are little nooks and crannies all over the place for you to enjoy. Fancy taking a trip to St. Petersburg? When you get to Russia, make sure you check out the Soul Kitchen hostel, because we can guarantee you won’t regret it. This is the perfect place to make friends with new travelers and hang out with like-minded people. There are three fun-filled common rooms to enjoy, and there are even facilities to use the internet and make international calls for free. As if that wasn’t enough, Soul Kitchen provides free tea and coffee all day, every day. Amsterdam welcomes millions of visitors each year, and a large portion of those travelers make their way to the ClinkNoord hostel. If you’re a fan of modern Dutch interiors, you’ll be happy to know that this place is decked out in some of the coolest furniture known to man, woman, or adventurer. With oodles of space to relax and unwind after a day of exploring, you can read a few books in the library corner, play pool with your pals, or just hang out on the couches with your travel buddies. Thailand welcomes thousands of backpackers every single year, which means there is definitely no shortage of hostels. However, if you want to experience the best of the best, it’s probably best that you book your place at the Lub D Phuket Patong hostel in Phuket. This huge development has everything you could possibly need from a hostel, including a giant swimming pool, a chill-out terrace, games tables, and large dormitories for guests to enjoy. It’s one of the best in the world. If you’re looking for a slightly smaller hostel, Sungate One in Madrid has everything you could possibly need in one neat package. Located in the center of the Spanish city, you’re never too far away from where you want to be – and then you can come home to clean rooms and so much space for activities. What more could you want? 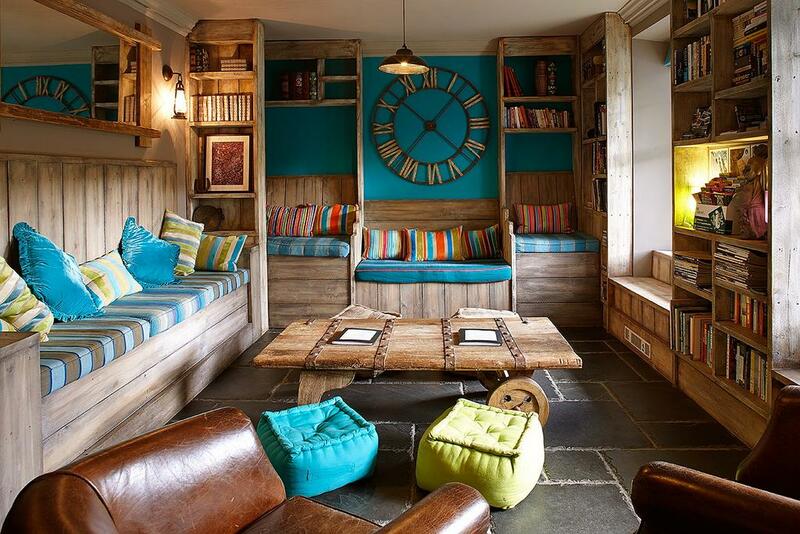 Hostels are everywhere, but there’s no doubt about the fact that these are the best!